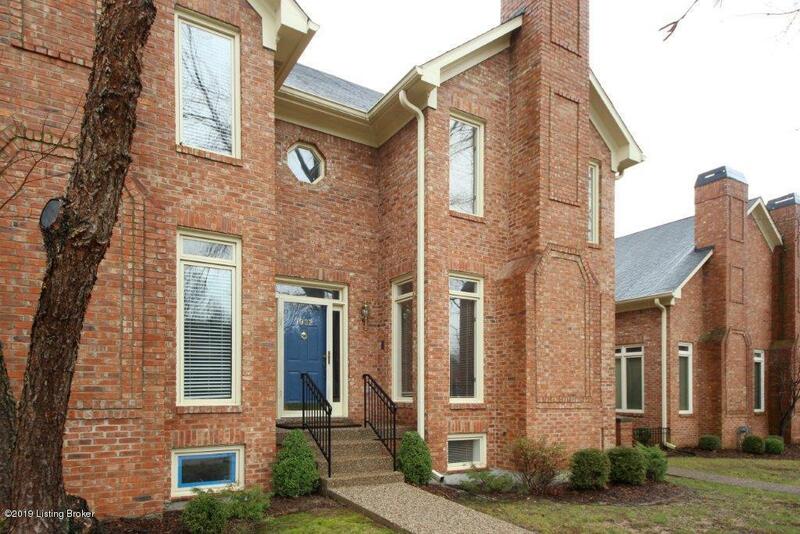 Immaculate townhouse in Hunting Creek, minutes from the country club. There are fine architectural details, beautiful landscaping, trees, and well-maintained lawns in this small development. High ceilings, hardwood floors, columns and moldings grace the first floor. There is a formal living room with fireplace, dining room with wet bar, powder room, and an eat-in kitchen. The second floor features a large master suite with vaulted ceiling, walk-in closet, and spacious luxury bath with whirlpool tub, double sinks, and a separate shower. The other bedroom could be a second master suite with its own full bath. The lower level was finished during the original construction of the home and is extremely comfortable.It includes a family room and an office/exercise room, which could easily become a theatre room. The exterior patio boasts a brick privacy wall and a large seating and potential gardening area. The oversized two car garage connects to the patio. Home warranty possible. The master deed states that the interior square footage is 2,495.